Before the baby comes—and if possible, before you become pregnant—talk to your doctor about your health status, and get information on how to stay healthy during your pregnancy. Some of the common vaccines for pregnant women are pertussis (whooping cough) and the flu shot. You may also need to get a vaccine for Hepatitis A, Meningococcal, or Hepatitis B. Talk to your doctor about which vaccines are right for you. Your doctor may suggest prenatal vitamins, including folic acid. This is where you and your baby get nutrients. Make sure that you properly clean your food and cook it thoroughly to remove any bacteria. According to the U.S. National Library of Medicine, the normal weight gain for a healthy pregnant woman is about 25 to 35 pounds, and pregnant women need only an extra 300 calories per day. Instead of junk food, eat foods that are high in protein, low in fat, and low in sugar. 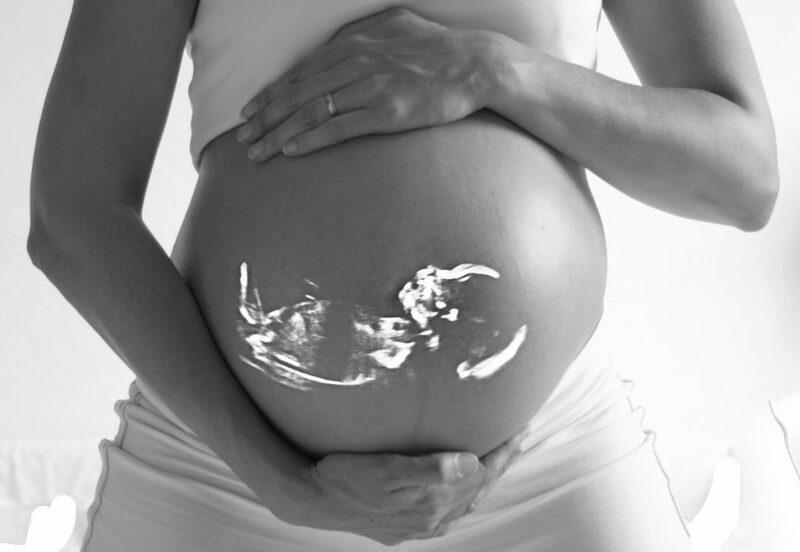 In addition, be sure to take prenatal vitamins, such as vitamin D, vitamin C, vitamin A, vitamin E, zinc, and copper. DHA is thought to assist with your baby’s brain development, though it is not necessary. Your doctor may offer you a prescription prenatal, but it may be more expensive. There is also a free app available for Android, called “MyPlate Tracker,” from ChooseMyPlate.gov (also available as an app for $0.99), which provides a personalized nutrition plan. Just enter a few details about you and your pregnancy, and SuperTracker will not only tell you how many calories to eat, but also how much fruit, vegetables, grains, and protein are optimal for you. Talk to your doctor before you start any workout regimen, and consider your previous workout regimen before becoming pregnant. Some benefits of exercising include easing back pain, boosting mood and energy, and preventing excess weight gain. It is recommended that you do about 30 minutes of moderate exercise almost every day of the week if possible. If you didn’t work out frequently before your pregnancy, start out slowly. Both cardio and strength training are good, but be careful not to lift weights that are too heavy. Jarring motions, contact sports, rapid changes in direction, extensive jumping, hopping, skipping or bounding, anything that involves bouncing while stretching, waist-twisting movements while standing, intense bursts of exercise followed by long periods of no activity, or exercise in hot weather. Check with your doctor before you begin working out to create a workout plan that is safe and healthy for you and your baby. Apps such as My Pregnancy Today and I’m Expecting – Pregnancy will guide you throughout your nine-month journey. You can use these apps as a resource for any questions you may have and have fun seeing how your child is growing! Avoid drinking alcohol or smoking while pregnant. If you drink alcohol during your pregnancy, you run the risk of disabilities known as Fetal Alcohol Spectrum Disorders (FASDs). These include physical, behavioral, and intellectual disabilities. Smoking is not only a risk to the mother’s health, but also to the baby’s health. Smoking during your pregnancy could lead to premature birth, certain birth defects, and infant death. It can also cause problems with the placenta and can lead to a low birth weight. Morning sickness is a common negative effect of pregnancy. avoiding spicy and greasy foods right before bed. trying Preggie Pops®, which help reduce nausea, alleviate dry mouth, and provide a quick energy boost. A 21-count pack is about $10 at the supermarket. Sea bands are available from most pharmacies and are usually between $10 and $15. These are drug-free wristbands that help control nausea.